William Mann, OTR, PhD was a Distinguished Professor and Chair of Occupational Therapy, Director of the PhD Program in Rehabilitation Science at the University of Florida (UF), and Director of the UF Center for Telehealth and Healthcare Communications. Dr. Mann currently serves as Director of the Center of Innovation on Disability and Rehabilitation Research (CINDRR) at the North Florida/South Georgia Veterans Health System, Gainesville, FL. 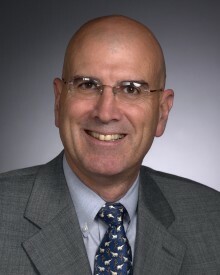 Dr. Mann was previously the Chair of the UF Institute on Mobility, Activity and Participation (I-MAP) Advisory Committee. Dr. Mann served as the Principal Investigator for the National Institute on Disability and Rehabilitation Research-funded Rehabilitation Engineering Research Center (RERC) on Aging from 1991 to 2007. The work of this RERC included a focus on telehealth and home monitoring. Before his appointment at UF, he was a professor at the University at Buffalo for 25 years. Dr. Mann has authored more than 145 articles and book chapters on aging and independence, authored/edited five books, and was founder and served as co-editor of the journal Technology and Disability from 1990 to 2000. He has served as the Conference Chair for the 1999, 2003, 2006 and 2008 International Conference on Aging, Disability and Independence (ICADI), and has served on the boards of both the American Society on Aging and the Florida Council on Aging. His research and rehabilitation experience extended internationally to collaborations in Canada, Europe and Brazil and Australia. Dr. Mann had over 35 years of experience in rehabilitation and community-based programs, spanning research, service and education, with a focus on applying technology to promote independence. Dr. Mann’s most recent work addressed the needs of veterans with disabilities, applying home monitoring and communications technologies (telehealth, telerehabilitation) and tools for driver assessment and rehabilitation.